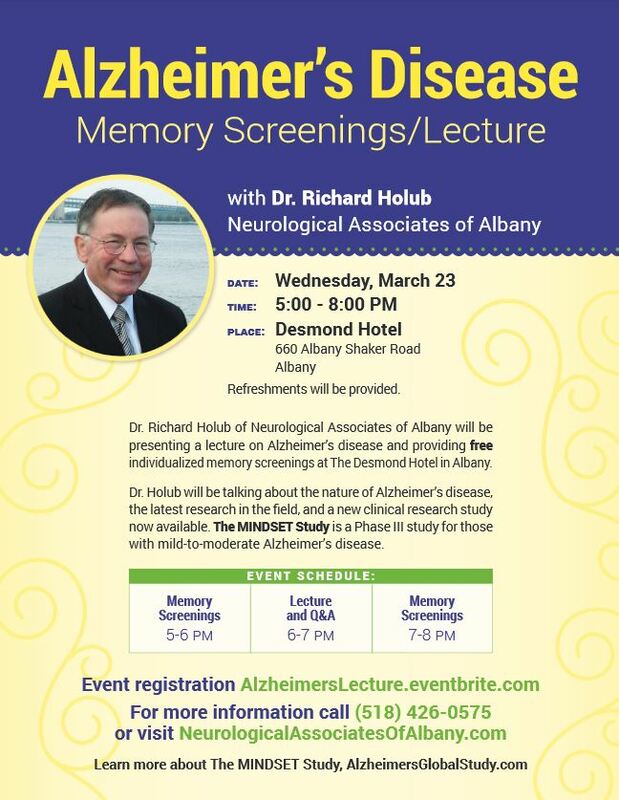 Dr. Richard Holub of Alzheimer\'s Research and Neurology Center at Neurological Associates of Albany will be presenting a lecture on Alzheimer’s disease and providing free individualized memory screenings at The Desmond Hotel in Albany. Dr. Holub will be talking about the nature of Alzheimer’s disease, the latest research in the field, and a new clinical research study now available. 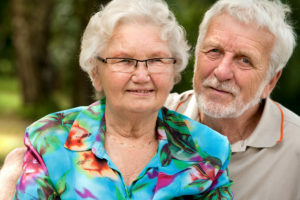 The MINDSET Study is a Phase III study for those with mild-to-moderate Alzheimer’s disease.